WASHINGTON — An emerging debate within the House Democratic caucus over a push to raise the federal minimum wage has become the latest example of tensions between the progressive-minded base of the party and its more moderate members whose elections in 2018 helped it gain control of the chamber. A proposed bill to increase the federal minimum wage from $7.25 per hour to $15 by 2024 — one of the party's central policy items — has failed to earn enough support to pass so far, with representatives from more rural and Republican-leaning districts raising concerns while others on the left are grudgingly supporting it even though they think it doesn't go far enough. The bill has 204 cosponsors, a significant majority of the caucus, and is supported by Democratic leadership and many of the party's presidential candidates. But a number of Democrats have reservations about the bill as it stands, saying that $15 might be too much of a burden for some small businesses, especially in some places where the cost of living is lower than large urban areas. "I think it's absolutely imperative that we raise the minimum wage but we have to do it in a way where we are sensitive to some of the concerns that have been expressed across the gorgeous mosaic of the House Democratic caucus," said Rep. Hakeem Jeffries, D-N.Y., a member of Democratic leadership. Proponents of the legislation are pointing to new polling results released Thursday morning showing that 65 percent of voters in competitive battleground districts support the proposal. The poll, conducted by Hart Research Group for the National Employment Law Project, surveyed likely voters in 57 swing districts across the country. Eighty-nine percent of Democrats supported it, as did a majority — 55 percent — of independents. According to the poll, the idea is even popular among many Republicans with 46 percent of them backing the idea. Still, Rep. Terri Sewell, D-Ala., whose district was not included in the poll, plans to introduce a bill next week that would regionalize the federal minimum wage to accommodate lower-cost areas and include a more gradual increase. And Rep. Ann Kuster, D-N.H., says there are concerns about the size of the increase in her district, noting that New Hampshire recently rejected a similar proposal. "Our state legislature — predominately Democratic majorities — have just put forward legislation for $12 an hour, but they defeated legislation for$ 15 an hour. So we're all just trying to sort out the timing of how you increase it and how to get to higher wages for everyone," Kuster told NBC News. "It's not a question about a difference of goal it's a different approach based on districts we come from." Even though the measure has broad support among Democrats, it still doesn't have enough for 218 votes for it to pass the House, giving increased leverage to those with concerns since no Republicans are expected to support it. "Many people think we didn't go far enough," with the $15 proposal, Rep. David Norcross, D-N.J., said. "Others think we went too far." The emerging concerns came to the forefront when the bill's sponsor, Rep. Bobby Scott, D-Va., briefed a meeting of moderate Democrats known as the New Democrat Coalition. Attendees of the meeting said a "robust" conversation resulted where members raised concerns, withheld support and offered alternatives. Rep. Dean Phillips, D-Minn., who owns a chain of coffee shops, stood up during the meeting to share his views about how small businesses can struggle with a raise in the minimum wage. 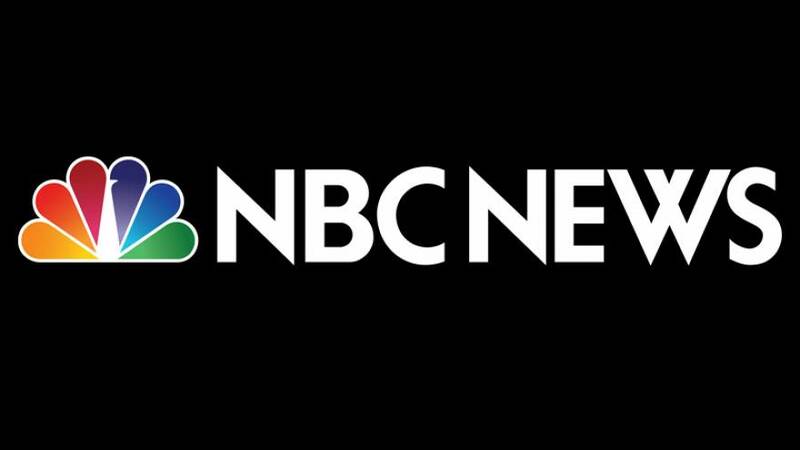 Phillips told NBC News about his message to colleagues. "We pay $15 at my coffee shops because it's a principle of mine, but that doing so is much more difficult for small businesses than large ones and that we should provide incentives to businesses that pay livable wages." The measure passed the House Education and Labor Committee earlier this month with the support of every Democrat and no Republicans. Some moderate Democrats worry that a partisan bill would die in the Senate and are urging leadership to consider legislation that would garner bipartisan support. Democrats on both sides of the issue say they are confident that an agreement can be reached. Norcross, a former labor organizer and member of the New Democrat Coalition who is supportive of raising the wage to $15 an hour, said that no Democrat is opposed to a higher wage but acknowledged more work needs to be done to garner more support. "I think we'll have very robust support from most of the Democrats. Hopefully we can address concerns of those who are still on the fence," Norcross said. The federal minimum wage has not been raised in nearly 10 years, the longest it has remained stagnant sine the standard was implemented in 1938. The entire leadership is behind this bill, according to a senior Democratic aide. "Chairman Scott will continue to work with his colleagues to advance this key Democratic priority, which will give nearly 40 million workers a raise." Josh Weisz, a spokesman for the Education and Labor Committee, said. "Putting more money in the pockets of hardworking Americans will be good for workers, good for businesses, and good for the economy."